With the latest Wohlers’ report indicating an explosive growth in metal 3D printing, it seems that the rise in metal 3D printing sees no sign of slowing down any time soon. Increasingly, manufacturers are recognising the benefits of metal AM, which has found its place in aerospace, biomedical, automotive, robotics and many other industries. Indeed, metal 3D printing opens up huge potential for the production of complex, industrial-grade components and parts with reduced weight, as well as unparalleled design freedom. As the use of metal 3D printing will only continue to rise, it’s important to know some of the materials that are available, alongside their advantages and common applications. We’ll also cover some key tips to consider when 3D printing with metal. When using powder bed fusion technologies like SLS, SLM or DMLS, make sure to explore the possibilities of nesting. As metal powders often come at a high cost, it’s important to make the most out of the available space on your build platform. Printing multiple parts onone print bed will therefore reduce costs as well as build time. And when deciding on how many parts should be printed side by side, make sure to consider the part orientation. For example, to ensure strength of a part, it should be oriented horizontally (along the layers). Another important point to consider in metal 3D printing is the use of support structures. These should be factored into the part’s design, when the angle between the part and the build platform is less than 45°. Support structures help to prevent build failures, such as warping or distortion of a part, which result from residual stresses. Optimization of the supports’ design will also allow for their easy removal after the printing is complete. 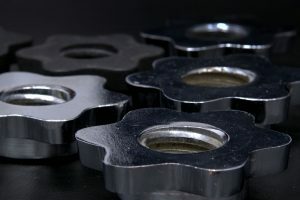 As metal parts produced additively usually require some form of post-processing, this should also be factored into the process and the overall cost, as post-processing requires additional costs. With metal 3D printing, there is a variety of post-processing options. As a rule, thermal post-processing is a must for functional parts, when the highest mechanical performance of the material is needed. As for most metal 3D printing methods only a small amount of powder material is fused to create a part, at key point to consider is the reusability of the leftover material. As mentioned above, the materials used for metal prints are quite expensive, and so must be used prudently to make the production cost-effective. The safe storage of metal powders and other safety issues should not be neglected. When storing metal powders, keep the containers containing the powders sealed and provide a special repository unit for them. To prevent any contamination or blending of metal powders, be sure to clean the printer and change materials carefully. As the dust from metal powders is hazardous to inhale and can irritate eyes and skin, it is essential to wear protective clothing. As the material selection for metal additive manufacturing is continually expanding, there are a wide range of materials to choose from. However, when deciding which material is best for your needs, you should first explore which options are best suited to achieve the desired specifications of your printed part. Currently titanium is one of the main metals used in metal 3D printing. Titanium offers great mechanical properties, resistance to corrosion and lightweight. These characteristics explain its wide use in production of parts for aerospace and automotive industries – Bugatti made headlines for 3D printing the world’s largest functional titanium car component. Titanium is also known for its biocompatibility, which makes it an ideal choice for medical applications, for example in the production of implants. However, titanium remains among the most expensive metals, and this limitation has yet to be overcome. This material comprises aluminium alloyed with silicone, which results in higher strength than pure aluminium. The alloy has low density and is commonly used for production of light-weight, geometrically complex parts in automotive and aerospace industries. High thermal and electrical conductivity also makes it a good candidate for application in electronics. Another advantage of 3D printing with aluminium is its straightforward post-processing processes (e.g. machining, welding and polishing). Unlike regular steel, stainless steel is enriched with chromium, resulting in a high corrosion resistance. This alloy is also notable for its exceptional strength and high ductility. Thanks to these characteristics, stainless steel is an extremely popular choice in a range of high-performance industries for producing functional components. In addition to this, stainless steel is used in applications such as surgical tools, cutlery and general engineering and even consumer products. Although this material is quite expensive, it is still considered a cheaper alternative to titanium or nickel. This iron alloy is created through exposure to elevated temperatures, resulting in great material properties such as high strength, hardness and malleability. The latter also enables parts, produced in maraging steel, to be easily machined and welded. The properties of the material make it a good option for the production of moulds and tools for injection moulding and also for components requiring high strength. 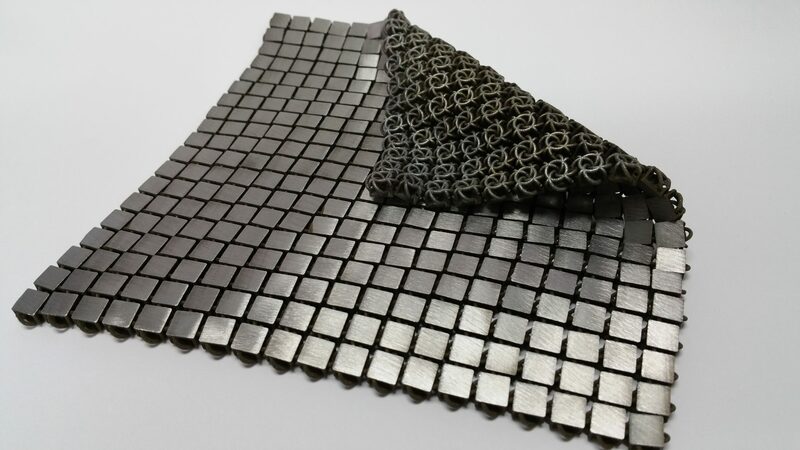 This material possesses great mechanical properties alongside resistance to corrosion and high temperatures. Cobalt chromium alloy is particularly suitable for medical and dental applications as it has excellent biocompatibility. Furthermore, this alloy is used in production of gas and wind turbines, as well as engine components. Thanks to its heat and corrosion resistance and strength, nickel alloys are widely used in automotive, aerospace, marine engineering in applications where high temperature resistance is crucial, such as gas turbine blades, rocket motors or heat exchangers. 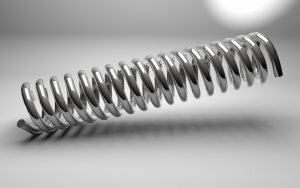 However, the main limitations of nickel alloys are their weight and cost, making them essentially more expеnsive, than, for example, stainless steel. 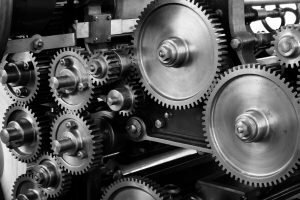 These materials offer great mechanical properties, high densities and hardness. This group of metals is highly resistant to corrosion and chemically inert. As refractory metals are highly wear and heat resistant, they are valuable to high stress applications. Tantalum also has high biocompatibility and low toxicity and proved effective for use in medical implants, although it a rare metal and thus more expensive, than titanium. The advantage of 3D printing with precious metals includes the possibility of intricate design, ideal for jewellery, accessories, and decorative objects. However, the process of production involves 3D printing usually indirectly to create a wax mould, which is then used in wax-casting technique. The direct 3D printing with precious metals is also possible, although the number of 3D printing machines compatible with precious metals is limited. With a great variety of options, 3D printing with metals is becoming a viable solution for demanding industrial applications. Although most of metal materials require huge investment, the advancements are made to drive the cost of powders down, resulting in a wider adoption of metal additive manufacturing. So staying tuned to the available options and key considerations for 3D printing with metal is a necessary step in both achieving best production results and exploring new manufacturing possibilities.